The Dance Company was formed by Jose “La Salsa” Diaz in 2012 to bring a revived new feel to Mambo On2 in Italy. 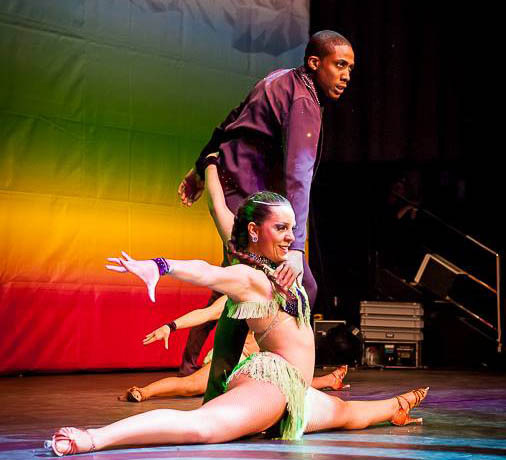 Artistic Jose “La Salsa” Diaz teaches Mambo with an energetic Dominican Street Style of dancing. His incorporation of multiple turns, spins, turn combinations, counter turns, sudden breaks and changes of directions will leave his audience elated and wanting to see more. Nerea was born in Jerez De La Frontera in Spain. At the age of 5 she begin her classes in flamenco and one year later she also discovered hip hop. At the age of 17 she began dancing salsa and quickly began also competing in it. Three years later she begin expanding her dance abilities by experimenting in various different styles such as afro-cuban movements, rumba, jazz, and cuban salsa. Today she is one of the most talented young salsa competitors in the world.